The people at Canadian Beef are giving five Canadian bloggers the opportunity to go to Eat Write Retreat this May. Eat Write Retreat is a food blogging conference with workshops on writing, cooking and photography. And I’m dying to go. Although I have several vegetarian posts up, I am a meat eater. I often mess up beef so when making it for myself I tend to stick to simple recipes. These tacos are incredibly simple,perfect for a weeknight meal. They are by no means authentic Mexican cuisine, just a combination of flavours I enjoy. I used sirloin tip steak. This is not the same as top round; if not marinated or cut very thinly it can be chewy. This recipe calls for both of those steps, so the meat works well in the tacos. In a large Ziploc bag, combine the lemon juice, olive oil, and chilli powder. Add the steaks to the bag, seal and marinate for 20 minutes to an hour on the counter, or up to 4 hours in the fridge. When ready to serve, sautee the onions and peppers for a few minutes until slightly softened but not cooked through. Season with salt and pepper. Remove the steaks from the plastic bag and dry them with paper towels. Season with salt and pepper. In a large skillet on high heat, fry the steaks for 2-3 minutes a side. Let rest of 5 minutes then thinly slice. While the meat is resting warm the tortillas. Assemble the tacos. 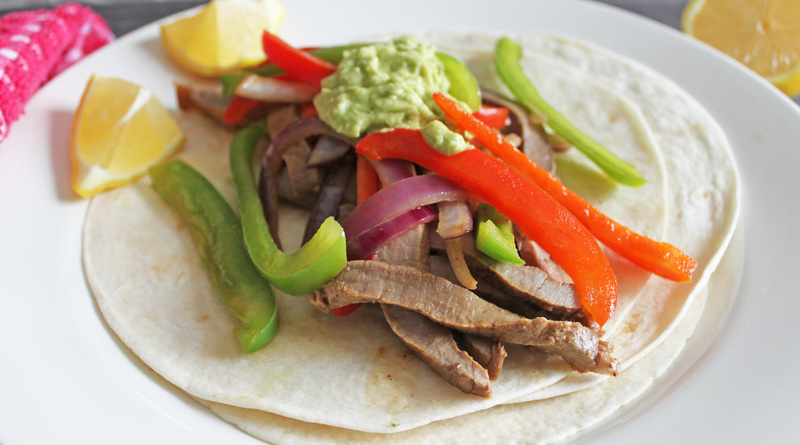 Place some meat on a tortilla, then the peppers and onion, and top with the mashed avocado. This looks amazing! What makes it Canadian? Just that the beef is from Canada. Maybe I should have said that .. oh well! Those look awesome! I’ve been struggling lately with weeknight dinners but this looks so good and so simple. Thanks for sharing! Oh, how pretty! 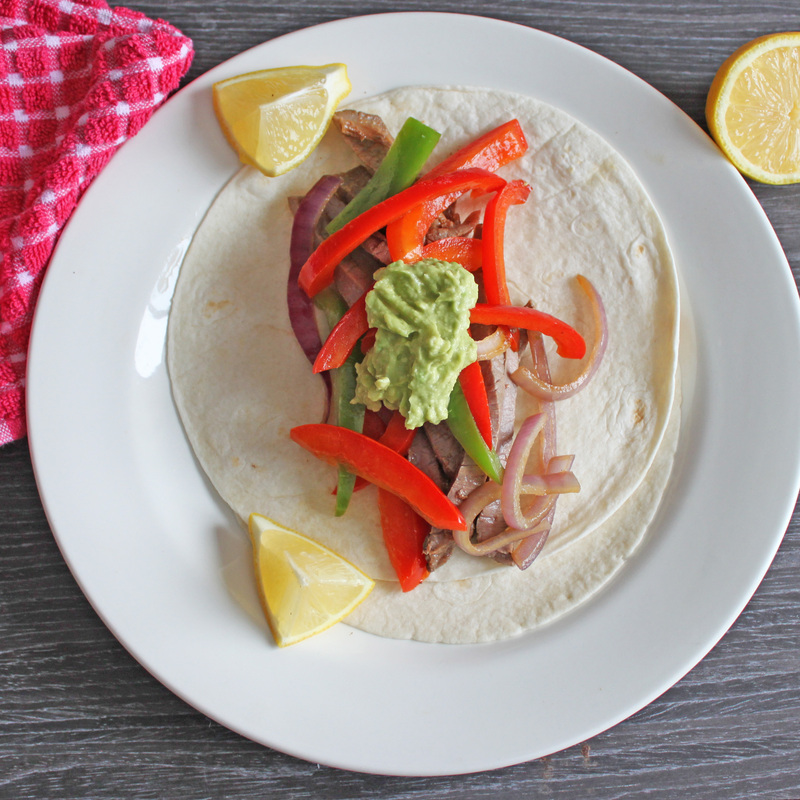 I love a good taco, when you use simple ingredients – it’s always so yummy! Great job! Hope you get to go! I hope you get to go. Any way I can vote for you??? It’s a random drawing, so no voting. Thanks though! Sounds perfect to me – a great weeknight dinner!